Arrival in Tashkent International Airport. You will be met by your personal guide and driver and transfer to the hotel. Accommodation. 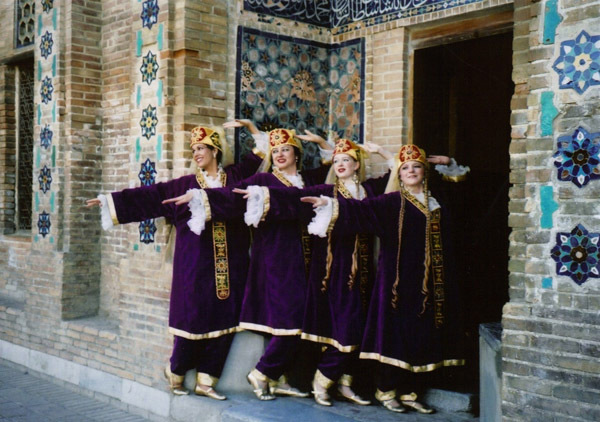 Tashkent is cultural and economic center of Uzbekistan. Today we'll discover the Old City: Hast Imam Complex which consists of Medreseh Barakkhan, Friday Mosque Tello Shayh and the Mausoleum of Kaffal Shashi. 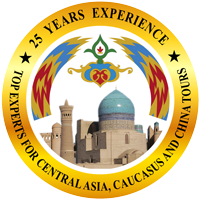 Later we will visit the fascinating, 3,000 year old Chorsu Bazaar and then explore Independence Square. Morning transfer to the airport for a flight to Urgench /Khiva. 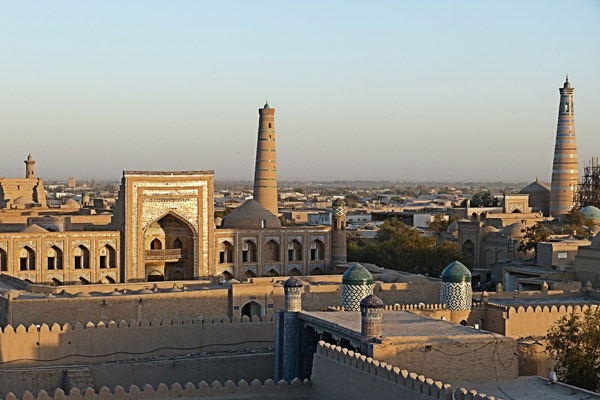 Explore the Ichan – Kala (The Inner City), with its palaces, mosques, medressahs, and caravansarais-traditional inns for merchants and caravans. Unique fortification have survived intact in this magnificent city: the Ata –Darvaza, the majestic blue-tiled Kalta Minar,Tower, Mohammad Aminkhan and Khodja Islam Medresehs, the Kunya Ark (Ancient Citadel), Tash Hauli Palace (Stone yard, with view of the palace's harem), and the Juma mosque with 200 uniquely carved wooden pillars. Dinner. 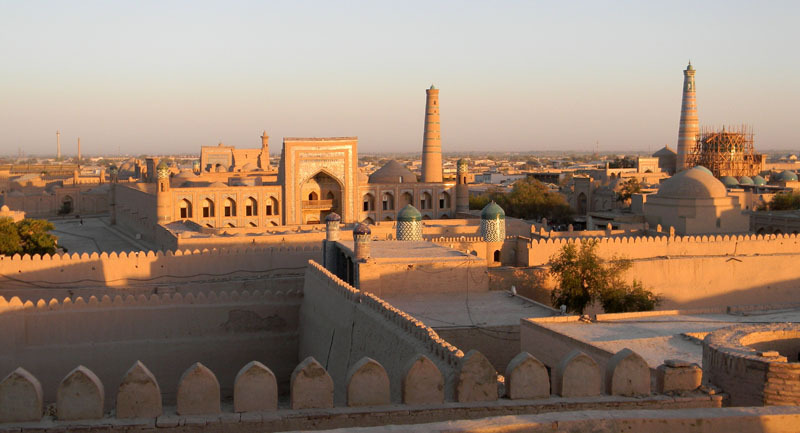 Panoramic view of Khiva in moonlight. 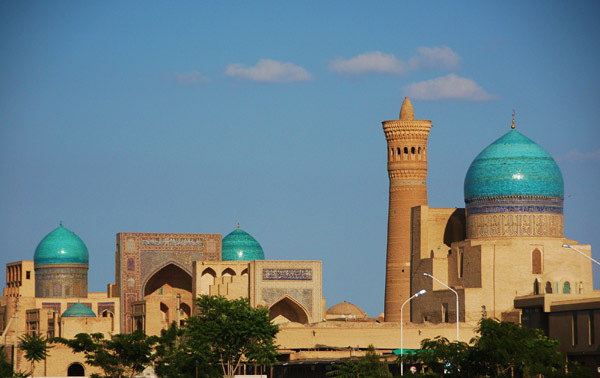 Sightseeing drive to Bukhara, one of the most ancient cities of Uzbekistan. Stop by a yurt camp in the Kizilkum desert to explore nomadic life. 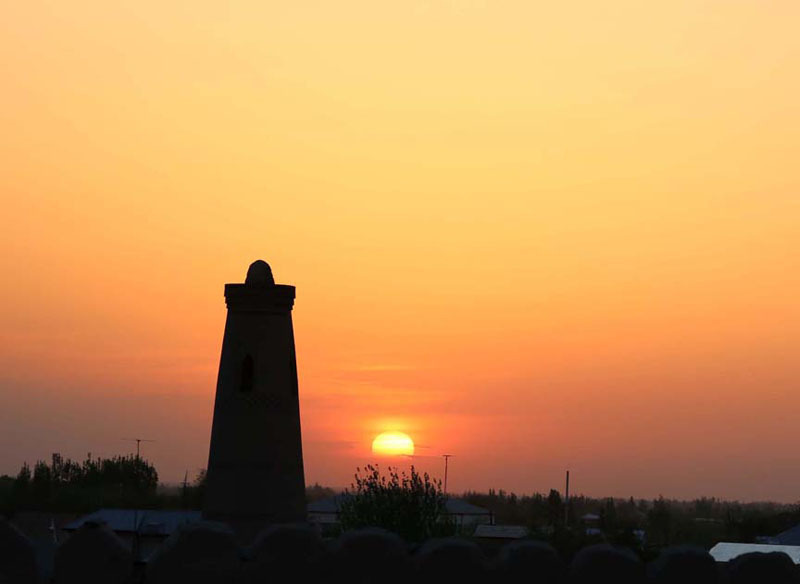 Late afternoon arrival in Bukhara. 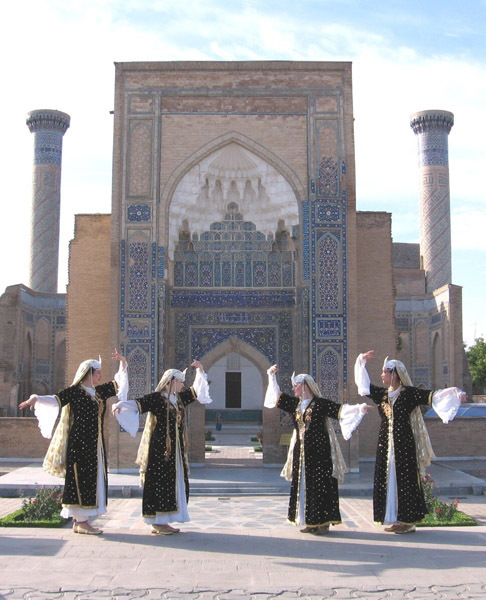 Bukhara is one of the most ancient and incredible cities in the world, listed as a UNESCO Heritage Site. 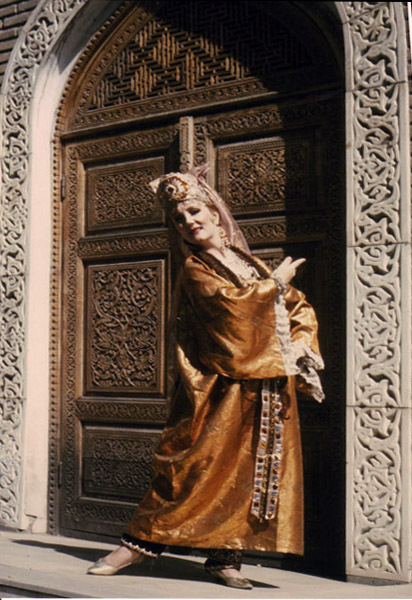 Touring the city includes: the Labi Khaus Complex around the reflecting pool,and the Nadir Divan Begi Khanaka (old hotel for merchants). The Labi Khaus pond dates from the 17th century when it was the principal source of water. 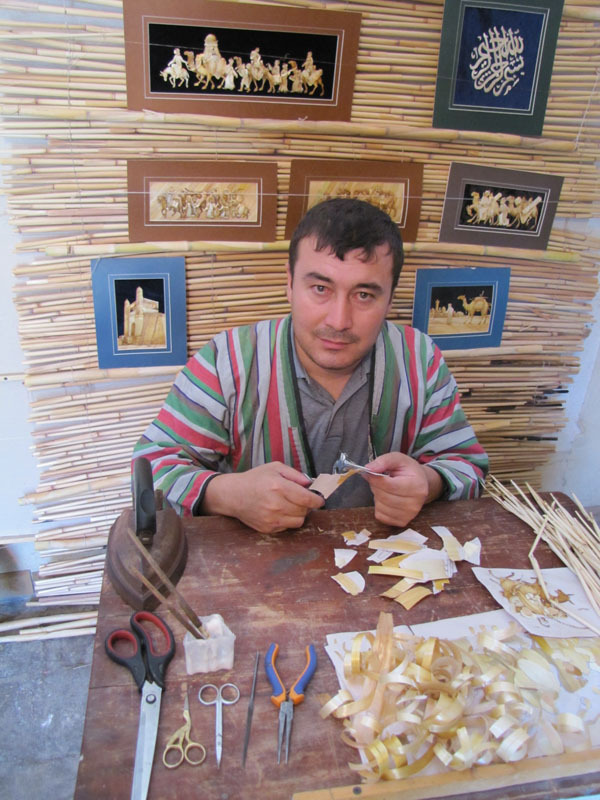 Enjoy tea in an ancient chaikhana (tea house) near the sculpture of humorist Khodga Nasriddin. We'll see the medieval architecture of the Magoki Attari Mosque, Poi–Kalon Complex with its legendary minaret, Mosque Kalon and the Miri Arab Medreseh, plus the extensive trade domes and markets of the old bazaar. 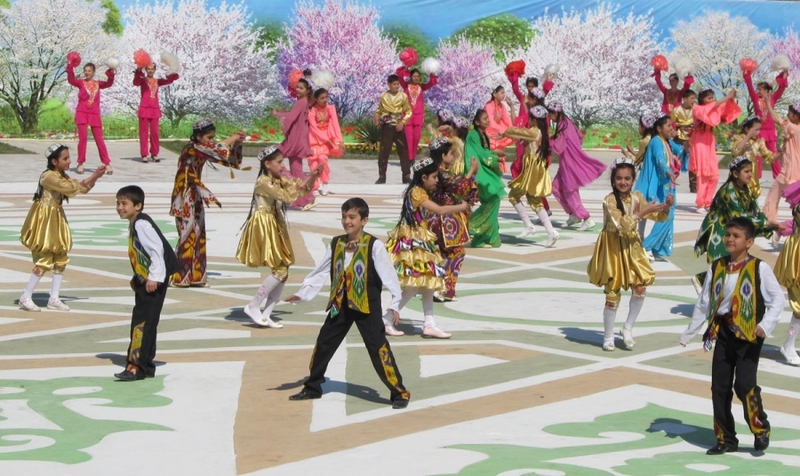 The festival celebrations start with traditional games, music and drama performances, street art, colourful fairs, joyful traditional dances, activities for children and adults, lavishly set tables with the most savory festive dishes, including a ritual meal sumulyak -a wheat bran pudding cooked exclusively for Navruz celebrations and thus available for tasting only once a year. The celebrations are marked with lots of merry partying and social visiting, with music, singing, and laughter to be heard late into the night. 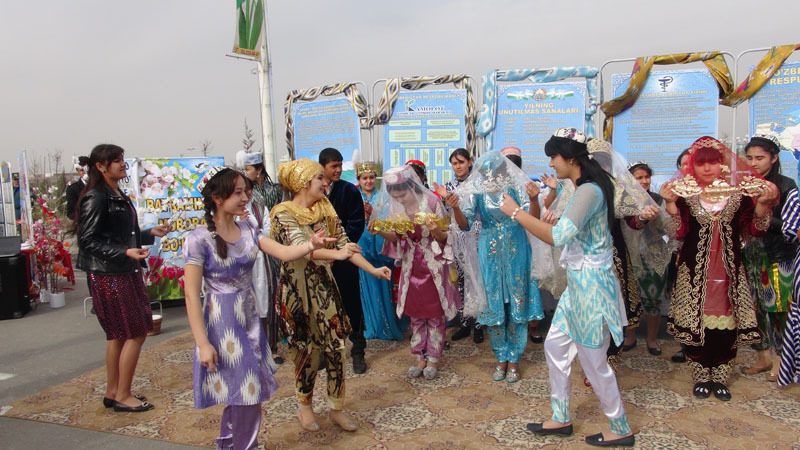 One popular saying goes: "He who celebrates and has fun on the day of Navruz will spend his life cheerfully until the next Novruz celebration". We'll certainly do our best! 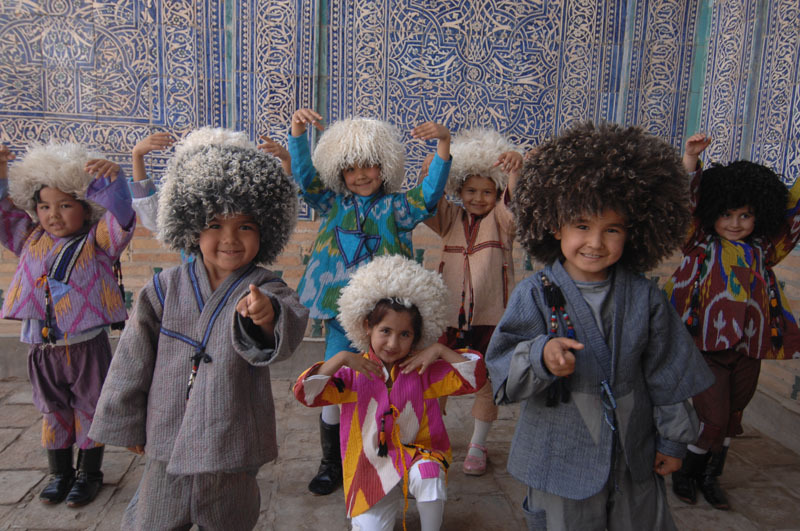 Today we will find our own Golden Road to Samarkand through the Silk Road Villages and ancient towns in Uzbekistan. 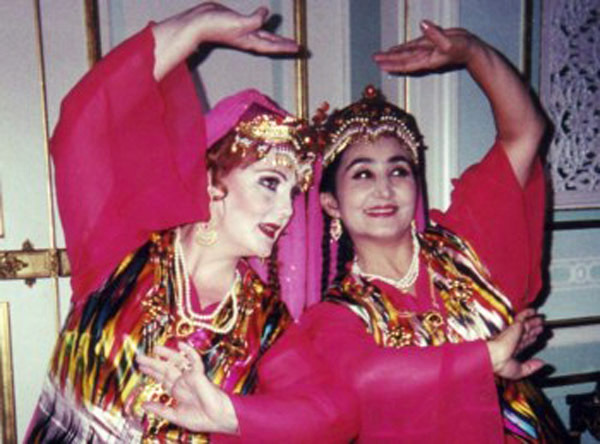 We'll stop at Vabkent to visit the minaret and mosque, and then at Gijduvan, the ceramics center of the region to enjoy lunch and Uzbek hospitality. 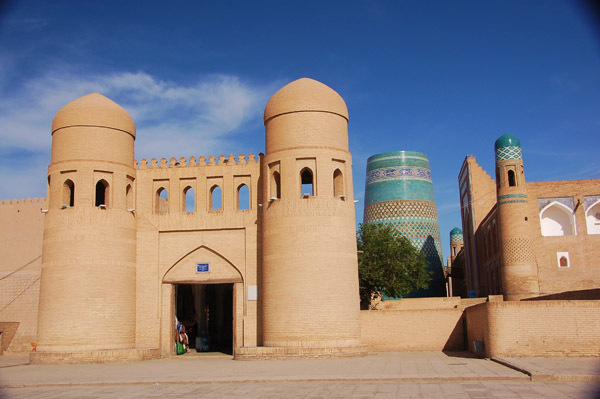 We'll arrive in Samarkand in the early evening. 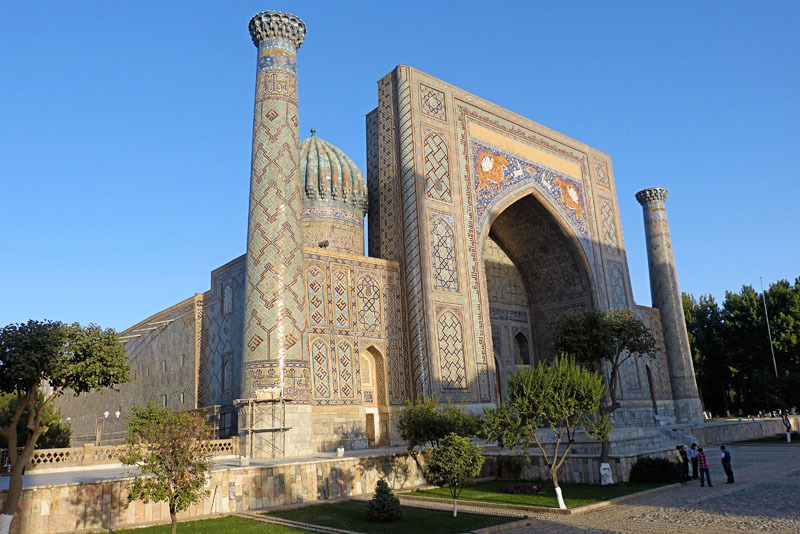 Enjoy a full day exploration of ancient Samarkand. 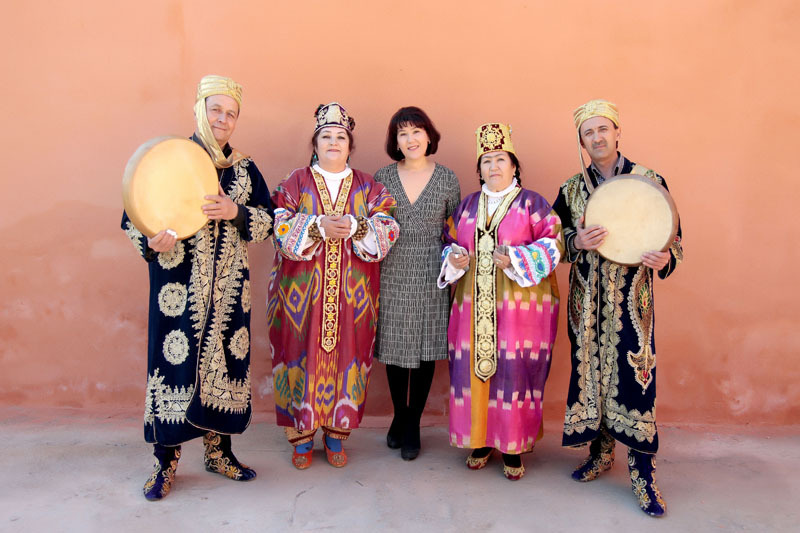 Sightseeing tour to Registan Square, the main attraction of Samarkand and an impressive place for holding the world's finest traditional and modern music festivals and celebrations. The Shah i Zinda Ensemble, an ancient necropolis, is a true museum of tiles under an open sky. 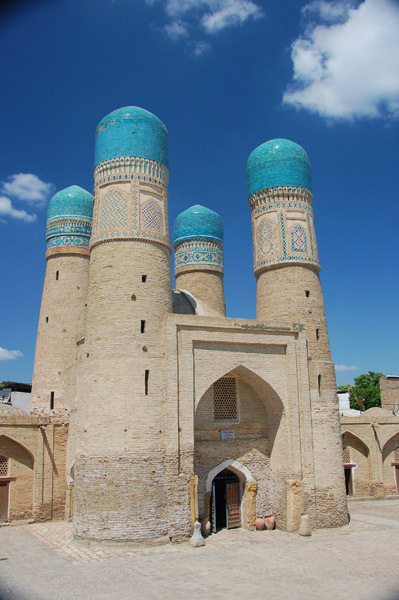 The Bibi Khanum Complex is the largest historic mosque in Central Asia. 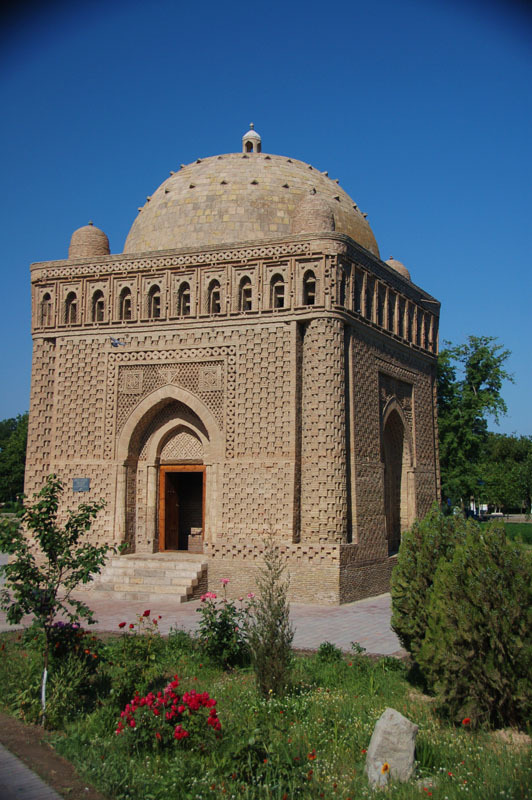 The splendid decoration of the Guri Emir Mausoleum was meant to reflect the policies of the Timurid dynasty. 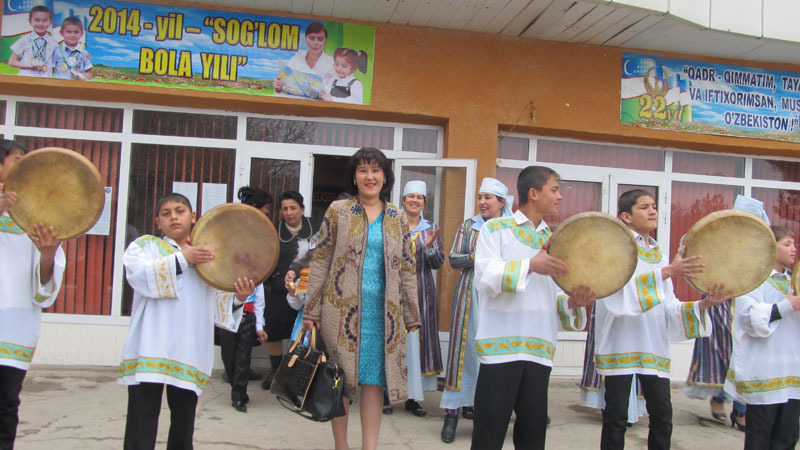 Special visit to one of the oldest wineries of Uzbekistan. Dinner. 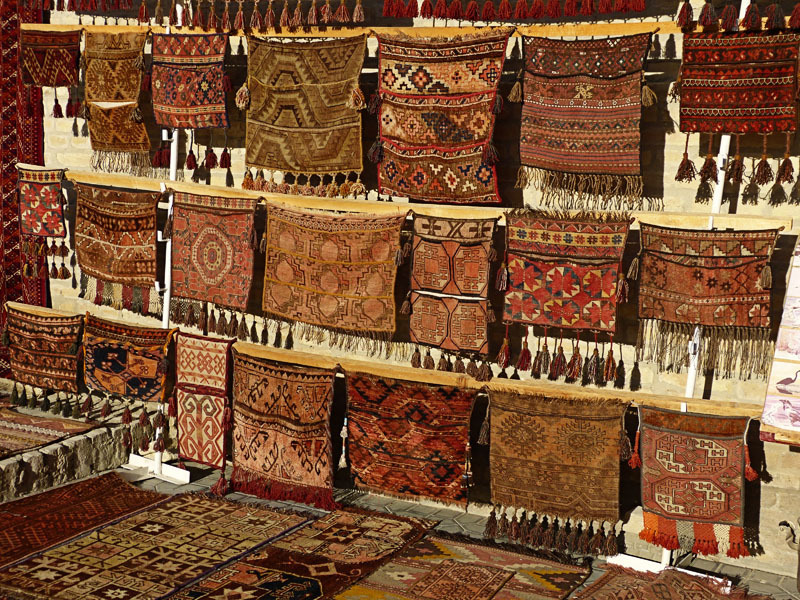 Explore Samarkand handicraft centers and exotic bazaars, the Khodja Ahror Vali complex and Al Bukhari Mausoleum, located just outside of Samarkand. Fast train to Tashkent. 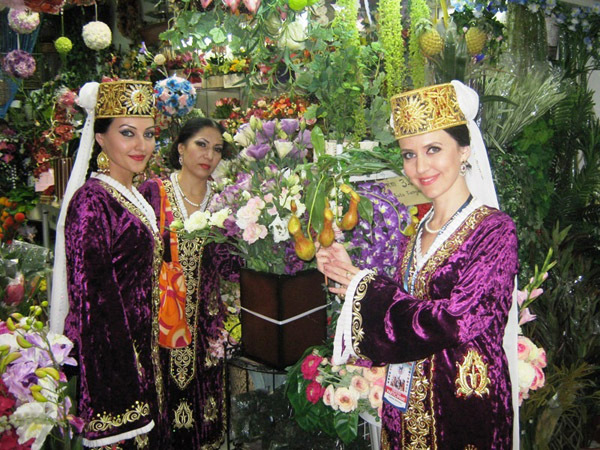 Experience the springtime foods and festivities of the Uzbek New Year, Navruz with your Zulya Rajabova, a native of Uzbekistan! 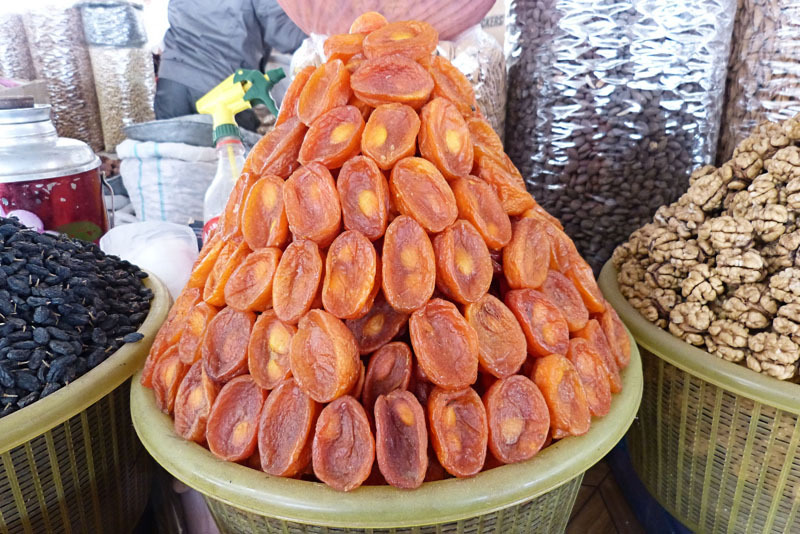 Visit with an Uzbek family, and savor the holiday treat of Sumulyak. 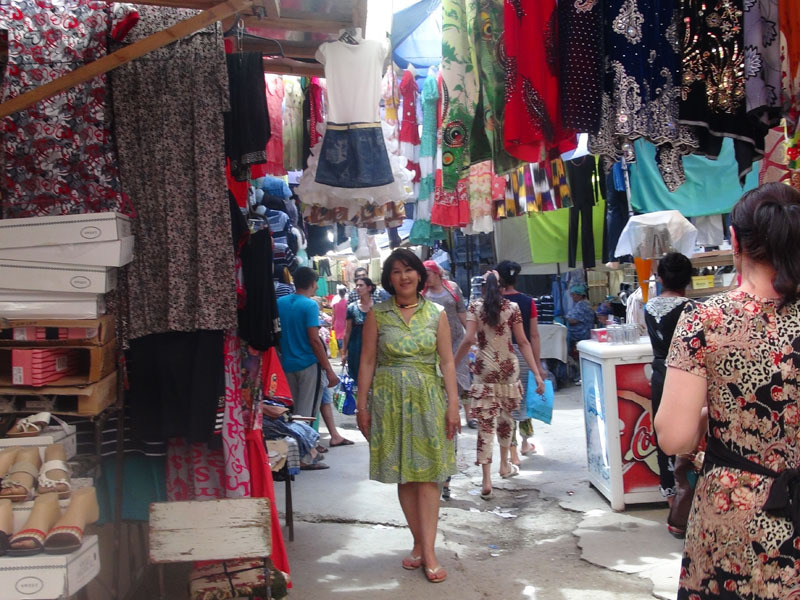 Enjoy this 3000 year old ritual, and prepare to shop for handicrafts, sightsee, and party, Uzbek style! 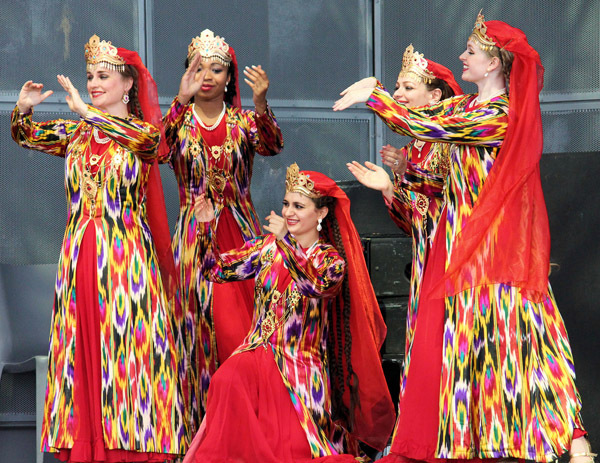 Visit ancient madrasas, stand next to soaring minarets, and enjoy a fantastic folk show as you discover Uzbek culture!